The Calphalon Classic Nonstick 8-Inch Fry Pan is made with dual-layer nonstick for extra-easy food release and cleanup, and constructed from durable hard-anodized aluminum for fast and even heating. The long stainless steel handle feels comfortable in your hand and stays cool on the stovetop. 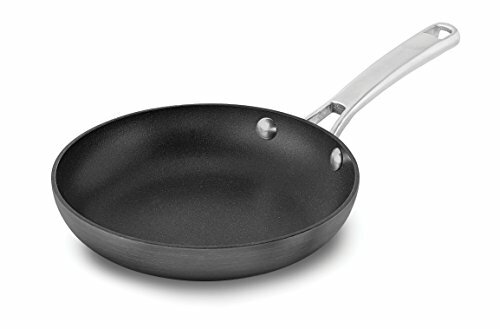 Gently sloped sides and flared edges make this small non stick frying pan ideal for preparing eggs, omelets and other delicate foods.